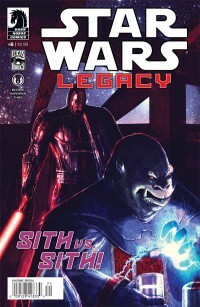 After closing the introductory story arc of the new Legacy series, we now find Ania Solo heading into the next chapter of her destiny. The orientation of the first chapter out of the way, our main characters now begin to take their places in the ever changing backdrop of the Star Wars galaxy. Fresh from her confrontation with Darth Wredd, Ania Solo is now known by Empress Fel as both having a common ancestor in the form of Han Solo and Princess Leia. She is summoned to Coruscant to meet with the Empress, and is in transit on board the Imperial Star Destroyer Animus. AG-37 and Sauk, meanwhile, are given an opportunity they cannot pass up. 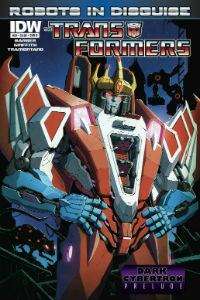 Proving to be a great run, Transformers: Robots In Disguise #20 is an amazing continuation of this series. It starts out with somewhat of a recap, and brings us through Starscream’s first day as the leader of Iacon. Trying to do his best in the aftermath of the battle the night before, many obstacles are definitely testing the new leader. Top of the list is dealing with the blackout. This is made more difficult with the added hassle of a pesky conniving Z’Verian Mole-Rat. But it’s also made more difficult by some disturbing revelations about Scoop. The artwork of Transformers: Robots In Disguise continues to impress me, fitting not only the story but also the spirit of the characters. The detail of the wear and tear on the machines helps bring grittiness to the comic. 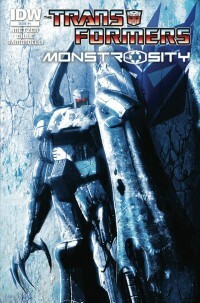 Transformers: Monstrosity #1 is the first issue in the definitive origin of the Transformers. And I mean that in every way possible. You can’t go back much further than this in the history of Cybertron. Writers Chris Metzen and Flint Dille dive DEEP into the past of the Autobots and the Decepticons. Going back to when Optimus Prime was just a security guard and him and Megatron where fighting side by side. Not only do we get an origin story for the two most popular Transformers, we see a lot of familiar faces in VERY different roles, An intelligent Grimlock? Yes, please! What I was impressed by in this first issue is that even though the characters are far removed from what they’ll eventually become, they’re all still the same characters that we know and love. Starscream is still a lying, manipulative bad guy. Prime is a leader at heart. And Bumblebee is still too courageous for his own good. Metzen and Dille have set things up in a way, that, even though we know what’s going to happen, we have no idea HOW they’re going to get there. Plenty of fun surprises in this issue. My knowledge of Dungeons & Dragons comes exclusively from the 1980’s Saturday morning cartoon. I knew going in that Infestation: Dungeons & Dragons #1 wouldn’t be starring any of those characters, but I was curious anyway. What I found was about as different as you could get. 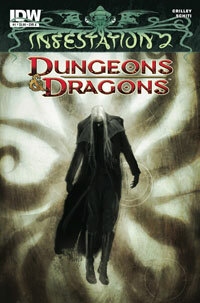 Writer Paul Crilley introduces the world of Dungeons & Dragons in a single paragraph printed inside the front cover, which pretty much set the tone for the rest of the book. Even though this book is titled Transformers: The Death of Optimus Prime, it should really almost be called Transformers #0. Why? It’s a launching point for IDW Publishing’s brand new direction of the Transformers franchise, and do they go out/start out with a bang! Writers James Roberts and John Barbar do a fantastic job of both closing up the previous Transformers storyline AND starting off a brand new direction for everyone’s favorite robots in disguise. 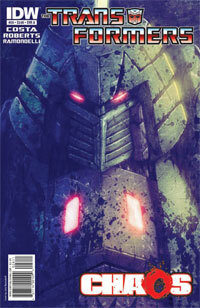 After reading issue Transformers #27 and LOVING it, I have to admit, Transformers #28 was a bit of a let down. It was by no means terrible or unreadable or anything even close to that. But, it did have a couple of problems that kept me from enjoying it as much as I wanted to. Story-wise, this issue is a lot of fun. 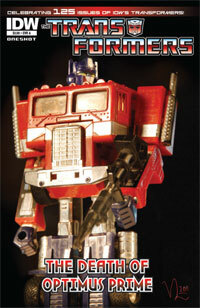 Cover to cover action and it features what most of us Transformers fans love — no humans! Mike Costa and James Roberts deliver what every TF fan wants — all-out war between the Autobots and Decepticons — with a few really nice twists thrown in for good measure. All of our favorite characters each get an equal amount of “screen time,” while the story advances at a good pace. Fans of this series will definitely enjoy this chapter in the Chaos storyline.